Only in Syria, Christian soldiers are defending the mosque barefoot out of respect. Please share and help the world see what kind of people Syrians really are! This entry was posted in +AAArchive, Christian Martyrs, Christians, Muslim and Christian, Muslims, Syrian Arab Army, Syrian Army martirs, Syrian Patriots, Video, War Against Terrorism and tagged Armed Terrorists, Christian Martyrs in Syria, Muslim and Christian in Syria, Syria, Syrian Arab Army, Syrian Army, Syrian Patriots, Syrian people, Syrianetwork, SyrianFreePress, Takfiri militant, Takfiri terrorists, Terrorists in Syria by syrianetwork. Bookmark the permalink. 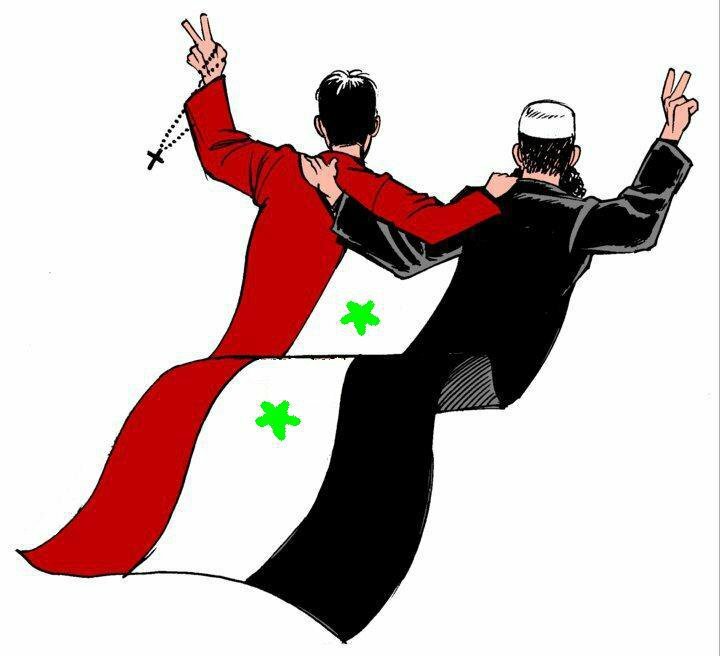 May Allah, the Almighty, give a total victory to the Syrian Arab Army against the enemies of Syria.